The training diary is the most important function for the athlete and part of his/her everyday training. Depending on what the coach needs for analyzing and planning progress, the athlete has to log training, sleeping hours and more parameters. The Sportlyzer Training Diary allows the athlete to log a lot of different parameters and make them available to the coach of the athlete. You can choose yourself how specific information you want to fill in. It wouldn't be called a training diary if it didn't contain your training log. The training diary doesn't only contain your completed training sessions, but also your planned workouts. All data is synced with your coach(es). As soon as you complete a new workout, your coach will be able to see and analyze that training. It also works the other way around - as soon as your coach plans a new workout for you, the workout will appear in your training diary or on your Sportlyzer Sports Tracking App. To log a new training, click on the "+"-button on a corresponding day and select the workout icon. When entering a new workout, keep in mind, that you have to enter duration, activity, and intensity. The intensity is a number between 1 and 10 (1 representing a really easy workout and 10 your absolute maximum effort). Logging workouts is often not enough. Many coaches also want to know how you feel and want you to enter some metrics on a daily bases or at least once a week. These metrics include simple parameters like weight and sleeping hours but might also include your morning heart rate or fat %. To log daily metrics, click on the "+"-button on a corresponding day and select the daily metrics icon. Sportlyzer allows you to enter also subjective parameters like sleep quality or the level of muscle pain. The emoticons on the right side will help you find the right value for the subjective sliders. Sometimes you need to write down a note - "Really bad mood" or "A lot of stress in school". These are important to understanding why your workout was not done properly or not at all. That's totally OK! You are not a pro and everybody is allowed to have a bad day once a while. To write a note, click on the "+"-button on a corresponding day and select the note icon. You will see two different fields there - the first one is visible to your coach and the second one is only visible to you. Your coach should know when you are not feeling well or something is hurting. He or she needs to change your training plan according to your health and give you some rest otherwise you'd have to pause training for even longer. 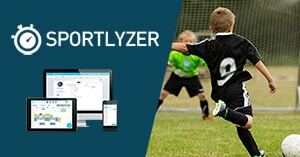 When you enter a sickness or injury into Sportlyzer your coach will automatically know about it and can make the required changes to your plan. Keeping these things logged is important to understand and analyze where something went wrong. You clearly don't want to make the same mistake twice! To enter a health problem, click on the "+"-button on the day it started and click on the sickness icon. Describe your condition and press "Save". Sportlyzer will automatically mark you sick for future periods. When you recover you can click on the sickness icon and log the end date of your sickness. PS: Don't try to be a hero and listen to pressure from other athletes. Hiding an injury or training while being sick is one of the most common mistakes young athletes make. There is probably a reason why you train and most often the reason is a competition (or many). Competitions are great to keep you motivated and test your progress. In order to analyze your progress over time, you should log your competitions and the results. Although it sometimes seems strange - there actually is something else besides training and competing. Something called social life - remember? If yes, great. If no, you better think about getting some. Sports should be fun and you don't want to end up burned out (neither does your coach). Just remember to mark these events in advance so your coach knows about them and doesn't call you in for a workout at 6.00am the next morning. In order to enter a workout or an event, please click on the "+"-button of the corresponding date and select the event or competition icon. There are many ways to test your progress, and competitions aren't the only one. Tests can help you remember personal bests or might be important to your coach to see how you perform at... let's say 10x100m swimming drills. Tests are a bit complicated however, and it will be your coach who will tell you when he/she wants you to enter some test results. He/she will also be the one who creates the test for you. In order to enter test results, please click on the "+"-button of the corresponding date and select the test icon. You will be guided to the test view, where you can select the test and enter your results. Outdoor sports are great and nowadays nearly everyone has a GPS sports watch or at least a smartphone, which has a built-in GPS. At Sportlyzer you can use these devices and track your speed, distance and other information like heart-rate, location, watts, cadence, etc and upload your data to Sportlyzer later. To use your smartphone, you need to download our Sportlyzer Sports Tracker App (iOS and Android) and track your workout with the app. Depending on the heart rate monitor and your phone, there are some Bluetooth heart rate monitors, which are supported by the Sportlyzer app. When you have a GPS sports watch, bike computer or any other kind of gadget, which allows you to get your workout as a file on your PC, you can use this file to upload your workout to your Sportlyzer Diary so your coach can also access your heart-rate and other data. Click here for detailed instructions on how to upload your workout file to Sportlyzer. PS: Most popular sport watch companies like Garmin, Polar or Suunto have their own Training platform, which syncs its data to the Sportlyzer platform. Read the following chapter to get more information about this topic. A lot of companies offer their own training log software and a couple of those sync their data with the Sportlyzer platform. What we can do, is download your workout data from these platforms and add it to your training diary so your coach can access it. All you have to do is a single click on a button. Click here to see how to connect your software to the Sportlyzer platform.